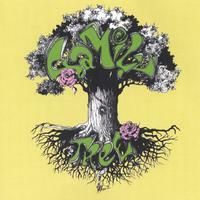 With roots in just about every musical genre, and focusing lyrically on personal growth and today's most vital issues-Family Tree has evolved into a driving force of reassuring positivity as well as dissent. Formed in 1998, the members of the band have been working passionately since day one to keep these central ideas in mind along every step of the way. 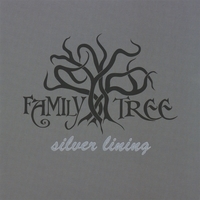 With the release of their first full-length album in November of 2003 and their critically acclaimed EP, Silver Lining in 2005, Family Tree is undoubtedly ready to expand its reach and gain the attention of new and unexpecting listeners. Family Tree consists of: Derek Smith-acoustic and electric guitars and vocals; Zach Klecka-electric violin; Kevin Johnson-bass; Alex Clark-drums and vocals and Kevin Turner-electric guitar and vocals. "The result is a virtually flawless ensemble with infinite possibilities"-David Todd of Portfolio Weekly Magazine. 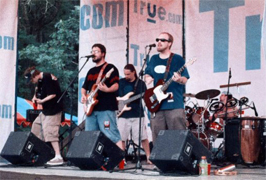 At it's conception, Family Tree was an eight-piece group including guitarist Mike Johnston, flutist Jason Winters, percussionist Anthony Lomonaco and original drummer, Andy Smith (brother to Derek Smith and first cousin to Kevin Johnson.) Mike and Jason left the band, respectively, to pursue other musical avenues, but remain great friends to Family Tree. On December 16 of 2004, Andy tragically passed away at his home in Norfolk, VA. The band continued on, in honor of his memory and for all that they had worked for over the past seven years with Anthony Lomonaco behind the drum kit. Anthony has now moved on to pursue personal goals in life after helping to lift Family Tree to new heights and reach new audiences with their music. Over the past twelve years, Family Tree has received a large amount of attention and has gathered an extremely diverse following in and around their home area of Hampton Roads, Virginia. 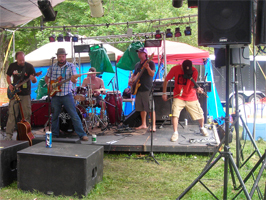 The band has been featured on the area's public radio station-WHRV, the former progressive rock station-The Coast, modern-rock leader 96X and has been positively reviewed many times by Ninevolt Magazine, once the premier music magazine for the Hampton Roads and Richmond areas of Virginia. Family Tree has shown its staying power through consistent audience response at many venues and has performed once at the Virginia Beach Amphitheater and numerous times at the prestigious NorVA Theater in downtown Norfolk. Music and Videos coming soon! If you would like to get in touch with us for booking information or any questions you can either use the formor the social links below. We'll get back to you as soon as possible, thanks!